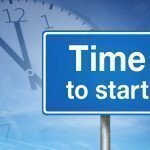 Why Do You Need Compliance? Why a Risk Assessment? The areas of highest compliance risk for rehab providers that bill Medicare are coding and documentation. Procedure coding sets the stage for billing, and what is billed must be supported in the documentation. Medicare has updated rehab documentation and coding requirements frequently over the past several years, and has provided clarification in transmittals to fiscal intermediaries, carriers and MACs (Medicare Administrative Contractors), who in turn have issued local coverage determinations (LCDs). Nancy Beckley & Associates offers a Gold Membership Program that organizes a variety of compliance resources for the therapy practice. 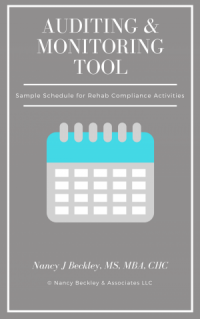 Take a moment to review the topics on our proprietary Rehab Compliance Knowledge Base. Who is Watching Your Compliance Program? Medicare has also stepped up efforts to detect fraud and abuse. In addition to your Medicare contractor’s medical review program there are also other safeguards to ensure compliance with Medicare rules and regulations. Rehab providers are finding themselves subject to review by CERT contractors, Program Safeguard Contractors (PSG) as well as Recovery Audit Contractors (RAC). The publishing of “fraud cases”, while once a rare occurrence has is not at all unusual these days. Within the past several months the OIG has published two rehab fraud cases, announced a Corporate Integrity Agreement with a rehab provider in New England, and included a study of private practice physical therapists in the 2009 Work Plan. The time has never been better to assess your compliance risk, whether you are a private practice clinic, rehab agency, CORF or hospital outpatient therapy department.